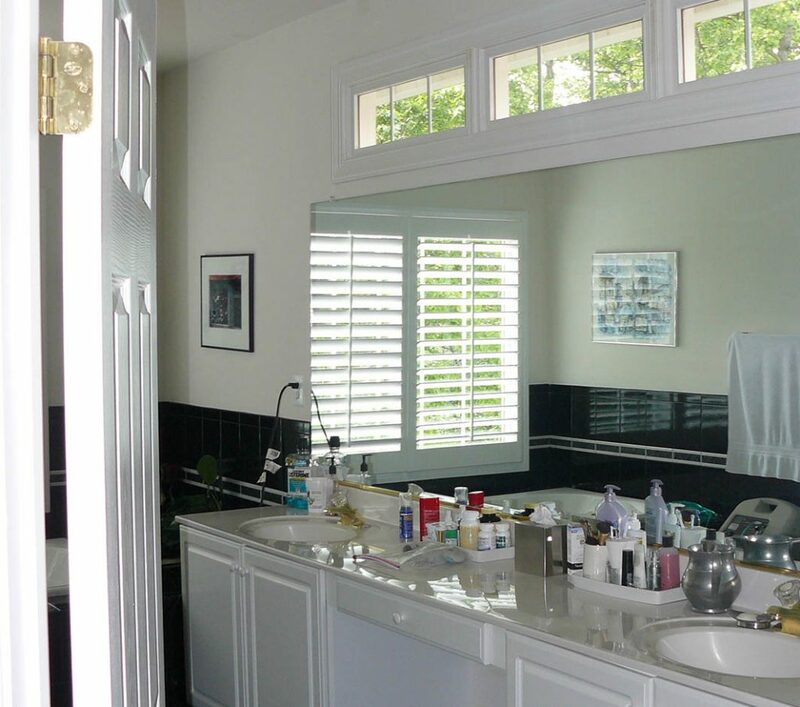 From every angle, this master bathroom testifies to a couple’s love for organic materials—and contemporary design. It also proves that neither has to be cold or hard. 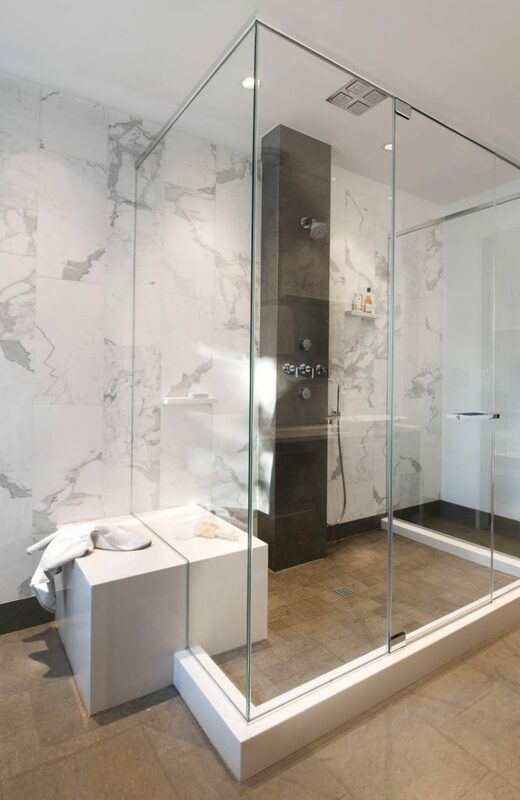 Marble walls glow straight through the large, frameless glass shower, with requisite plumbing neatly concealed within a limestone water column. 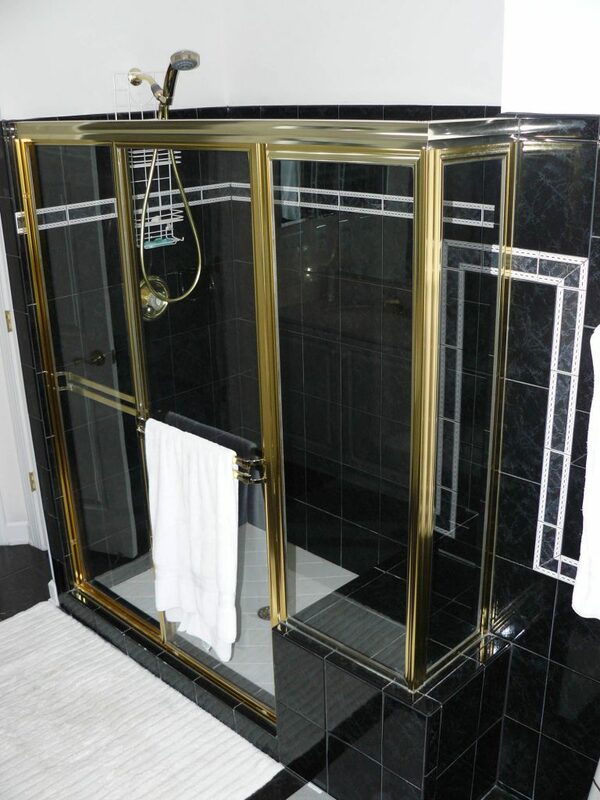 A solid white cube provides safe seating inside the shower stall, extending beyond for alternate use. A frosted glass pendant and powder-coated sinks float effortlessly above the dark double vanity. Storage below and lift-up, mirrored cabinets above keep bath essentials organized and within reach. Modern art finds a comfortable frame in a carved-out niche. 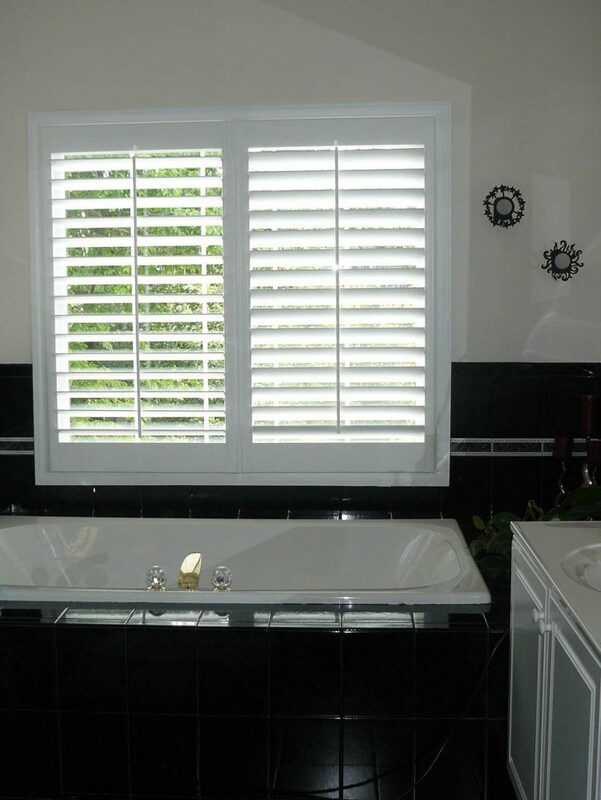 A silky smooth tub stands like sculpture beneath a picture window, direct set for clean lines and visibility. A stunning view of a golf course awaits. 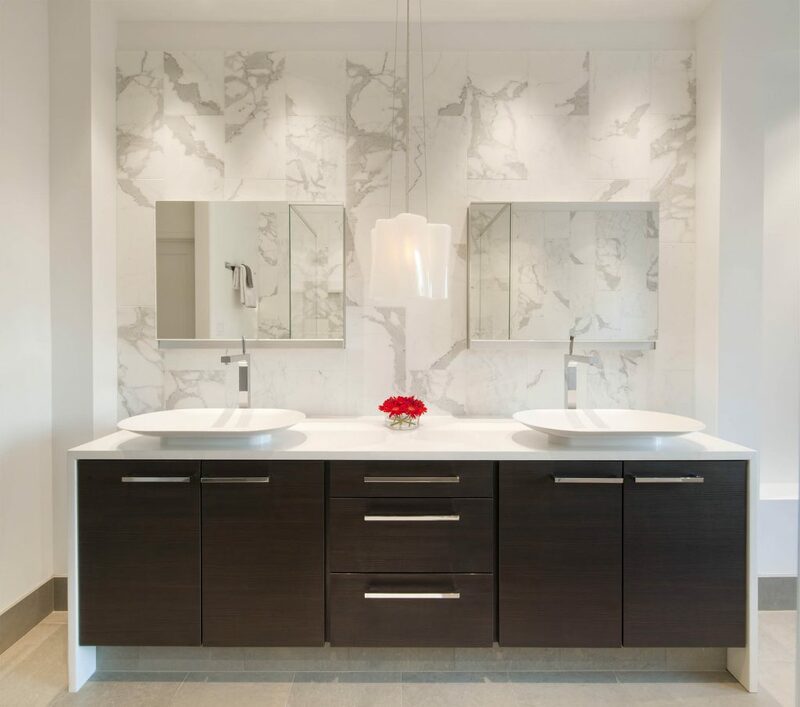 The warmth of the organic palette extends into the guest bathroom, where honed Carrara marble flows down the walls to cover the floors. 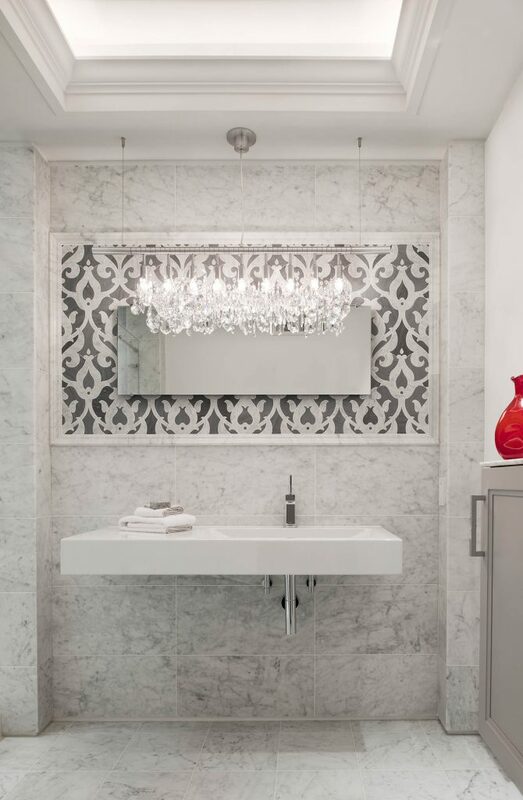 Damask-pattern accent tiles frame a simple rectangular mirror behind a striking modern crystal chandelier.